The first day of the Swim England National Winter Championships 2017 (13 December) is stacking up to be one of the most action packed days of the meet. Both individual and relay places at the Commonwealth Games are up for grabs while there are lots of up and coming swimmers hoping to secure their seat on the plane to the Gold Coast. The Women’s 200m Freestyle is the first final to be contested at the Winter Champs. England has not won Commonwealth gold in this event since Karen Pickering in 2002. Double Olympian Ellie Faulkner has already been selected to represent Team England on the Gold Coast. She is the fastest British swimmer over 200m Free in 2017 and the only athlete to have made the consideration time at an eligible event this season, having won British Summer Champs gold in a PB 1:57.04 in July. As well as individual selection, there are a number of swimmers who will have their sights set on sealing a 4x200m Free Relay spot for next year. There are five English swimmers knocking on the door of selection with entry times under 2:01, including World and Olympic 200m IM medallist Siobhan-Marie O’Connor and Rio 2016 Olympian Georgia Coates. O’Connor won silver in this event in 2014 – one of six medals at her debut Commonwealth Games. Olympic medley relay medallist Chris Walker-Hebborn won gold in this event at the Glasgow 2014 Commonwealth Games and comes into the Winter Champs very much as the one to beat. While he has not made a consideration time this season, his 54.20 opening split in the 4x100m Medley Relay final – in which GB went on to win silver – was only 0.19 seconds off. Among Walker-Hebborn’s likely opposition are Luke Greenbank, who has already been selected for the 200m Back, and Dan Cross. 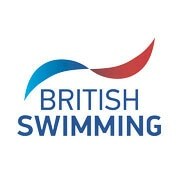 Both Loughborough University swimmers hold entries within a second of the consideration time. While three English athletes have made the consideration time this season, none were at eligible events for selection so all three will have their hopes set on achieving their times again at the Winter Champs. Aimee Willmott will be looking to secure a spot at her third Commonwealth Games, having set her English record to win silver in Glasgow four years ago. Meanwhile, youngsters Rosie Rudin and Abbie Wood are aiming to be selected for their debut Commonwealths. If all three swimmers are tapered and ready to go, there could be fireworks as they aim to rubber-stamp their selection to the Gold Coast on the opening night. Double Olympian Andrew Willis has already been selected to the English team for the 200m Breaststroke, and will line up as fastest qualifier in Sheffield. Willis won bronze in the 200m Breast on his Commonwealth debut four years ago, and sealed the 2016 consideration time with a 2:09.25 effort to win gold at this year’s British Summer Championships. Loughborough University’s James Wilby is the only other swimmer in the field with a PB faster than the consideration time. He clocked 2:10.01 to win silver – ahead of Willis in third – at the British Championships in April. Another Loughborough swimmer, Ed Baxter, holds the third fastest entry time. He clocked a PB 2:12.50 at the British Championships this year and was a European Junior finalist in this event last year. While no English swimmer has made the consideration time in an eligible event this season, there are a host of swimmers lining up ready to make an impression in Sheffield. Siobhan-Marie O’Connor (pictured) claimed Commonwealth silver in 2014 and holds the fastest PB of anyone in the field – a 57.45 effort from those Glasgow Games. Teenager Ciara Schlosshan was within a second of the consideration time at this year’s European Junior Championships. Meanwhile, Rachael Kelly clocked a season’s best 58.41 at the British Championships in April and has since won bronze at the World University Games. Double Olympic relay medallist James Guy is the only English athlete to make the 400m Freestyle consideration time in an eligible event this season. With Guy not competing in the 400m Free in Sheffield, the event is open for other contenders to battle for the title and the other two selection spots on the team. World University Games 2017 silver medallist Jay Lelliott and World 4x200m Free Relay champion Nick Grainger lead the way on entries and have both gone faster than the consideration time in the past. Meanwhile, Rio 2016 Olympian Tim Shuttleworth’s PB of 3:48.06 is within 0.5 seconds of the time. British record holder Imogen Clark is the fastest entry in the women’s 50m Breaststroke and will be looking to lay down a marker ahead of the 100m Breast on day four. In the men’s 50m Butterfly, Danny Savage leads the way on entries, courtesy of his PB 24.21 in November. Click here to view the draft programme for the National Winter Championships. Click here to find out tickets and spectator information.